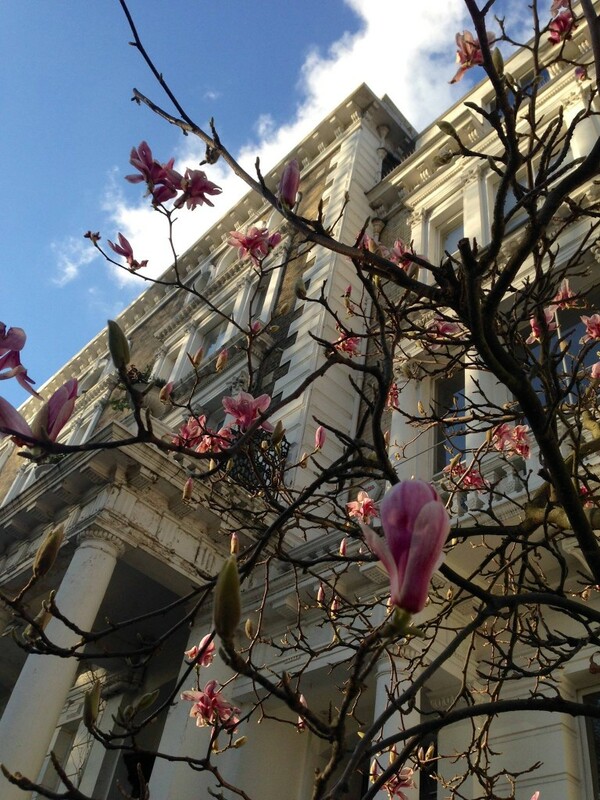 See those gorgeous Magnolias, blooming since early February in Primrose Hill. Meteorological spring doesn’t begin until the 1st of March, but they don’t care. Those pink flowers are a sight for sore eyes and make me happy. Like the Magnolias, I can’t wait for the lovely spring to come with its pastel colours and lovely scent. It’s my favourite time of the year in London. So fair the sky was and so soft the air.